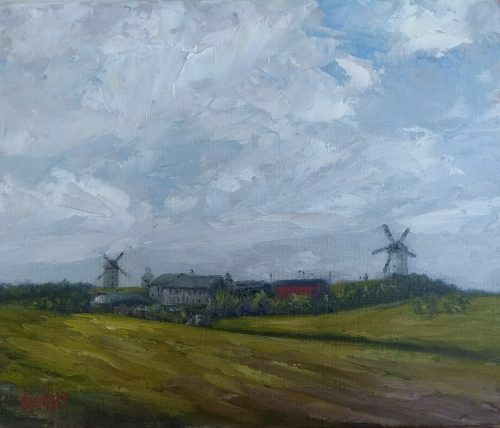 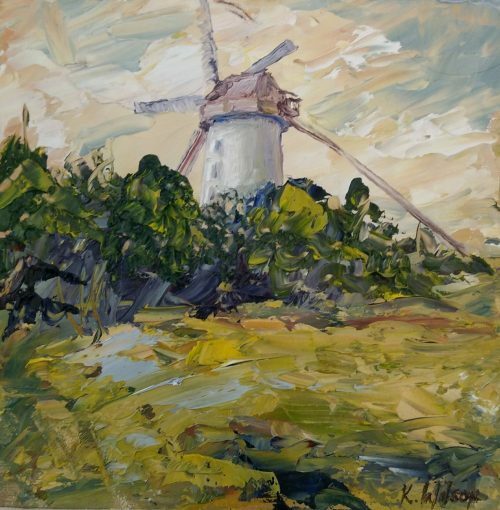 Miniature oil painting 5″ x 5″ of “Skerries Windmill II” Skerries Mills. 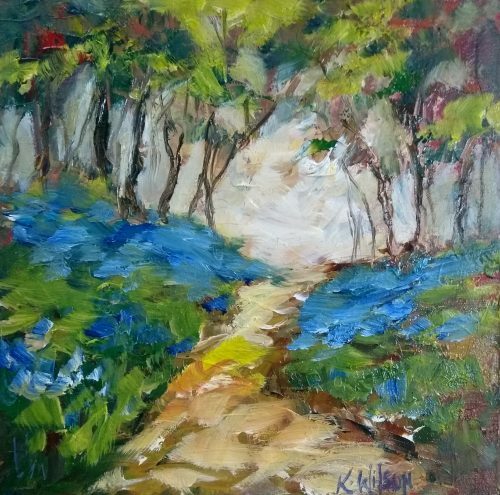 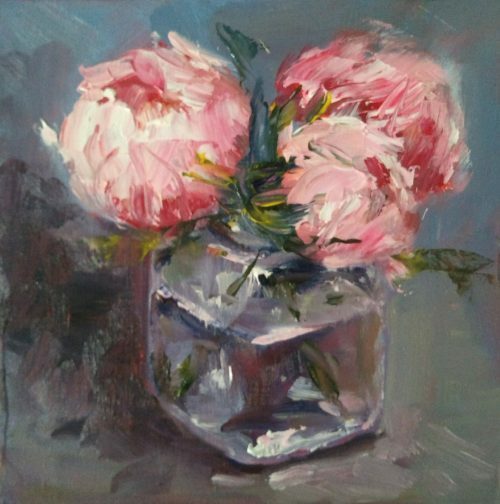 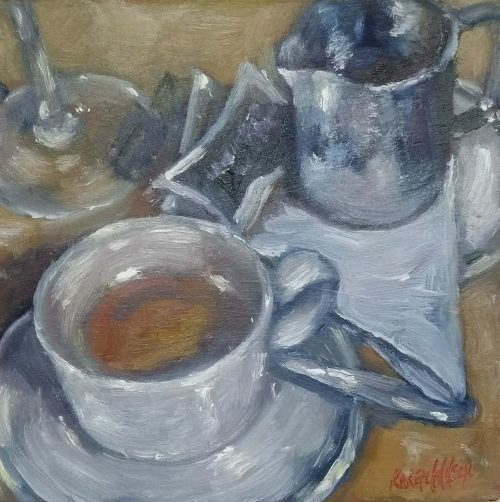 Painted with a palette knife with thick buttery oil paint. 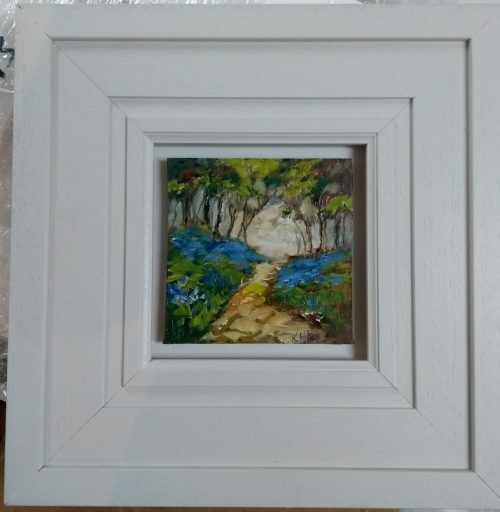 Framed in a bespoke lime washed frame.